The Gifford family business started four generations ago in the 1920's, when Mary "Tillie" Gifford opened a flower stall at the Portland Farmers Market. Upon returning from Service in Europe at the close of World War II, Marshall Gifford (Tillie's son) and his wife opened their first flower shop in Northeast Portland.Later, in the 1970's, Marshall and his sons Bill and Jim, purchased Doving Flowers and moved the business downtown to where the current Nordstrom's store is located. After several relocations, Gifford's Flowers eventually established themselves at the corner of Jefferson and Broadway where they have been for over 35 years. Laura has become the fourth generation to carry on the family tradition. 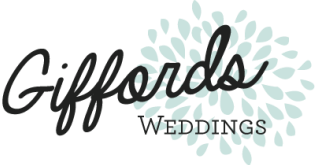 Since 1997 she has been helping couples with planning and making their visions become wedding realities. Laura has brought her resourcefulness, creativity, and personal touch to hundreds of weddings of every shape and size. She is active in the community of Portland wedding vendors, and is eager to help you express your personal style on the most important of occasions.